It’s the time of year again when we think about wines, parties and Christmas lunch. It’s the time when a great wine can really tie together your Christmas festivities. But, it’s like I say to everyone, “drink what you like” – that’s what is most important. I have a few wine recommendations for the holidays, but first I would like to suggest a couple of gifts for under the tree. For a smaller present I recommend Hugh Johnson’s 2014 Pocket Wine Book. It’s the best wine book in the world. It tells you about all the wines you could possibly drink throughout the year. It retails at £7.99 (or less) and is a great book to have to satisfy your wine needs. If you’re in the market for a slightly bigger present, you should consider a subscription to Decanter Magazine. It’s a magazine that spurs on the enthusiasm of wine and is delivered on a monthly basis. 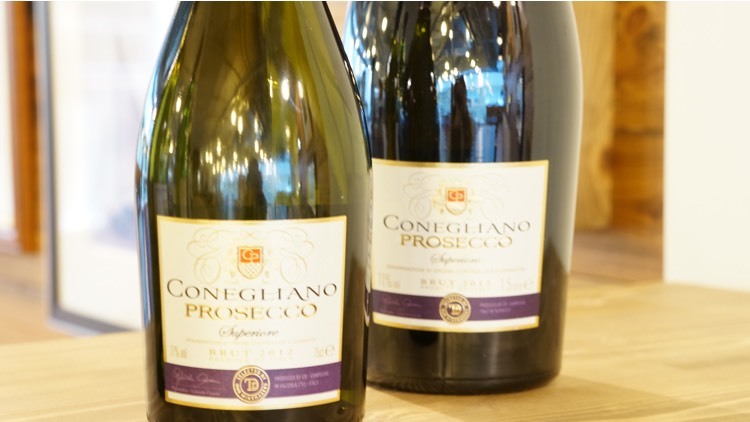 For reception drinks and parties the Conegliano Prosecco is a great choice. It’s on special offer at Sainsbury’s at the moment for only £7 a bottle and is an exceptionally fine sparkling wine. What makes it fun is that they also do magnums. At about £15 a bottle, I think it always makes it look more generous if you can serve the magnum. It’s really a lovely wine and a great preprandial. Moving on to the whites, we have got a 2011 White Burgundy, which means Chardonnay grapes. Not a great fan of Chardonnay but when it’s made well it’s a cracker. This is a nice white from well-known wine producer Bouchard Aine & Fils from the Bourgogne. Fantastic stuff! With a £10.99 price tag the White Burgundies (as well as Red Burgundies) are a bit on the pricy side, but in return you get a really nice buttery vanilla-y drink which you will greatly enjoy if you’re a fan of Burgundies. Now for the Gewurztraminer – a 2012 Gewurztraminer from the Alsace. It sounds a bit of an odd choice, but when I give it to people they absolutely adore it. It’s difficult to pronounce, but well worth learning as you will want to spread the word about this wine. It’s another Sainsbury’s Taste the Difference and is a cracking wine at £7.99. Dry but very fruity, it pairs particularly well with smoked salmon and lightly-spiced foods. Let’s move to an old favorite of mine, Villa Maria Sauvignon Blanc. This is from Waitrose but you can purchase it from various outlets at £10.99. It’s worth getting a decent Sauvignon Blanc; and Villa Maria, with its great reputation, is one of the best. It’s lovely gooseberry and citrus flavors make it well worth the money and it’s a delicious quaffing white for sharing with friends. We then move on to the reds. First, a Pinot Noir from Marlborough in New Zealand called Giesen. Pinot Noirs are great from New Zealand. It’s a wonderful country for growing the vines with the Pinot Noir grape thriving in the cooler climate. I’ve recently visited and they really work hard to capture a great Pinot Noir. Today virtually all the wines I have are screw tops because by the time you have a couple of bottles on Christmas day you probably don’t want to start stabbing yourself with the cork. I find this Pinot Noir to be great with turkey as it’s not too heavy. It provides lots of flavor and overall a really cracking wine. The Giesen would certainly be my number one recommendation. At £10.99, it’s a bit more expensive then some of the other reds I’ve recommended but well worth every penny. Next, on to a Côtes du Rhône this is a Terres de Galets. It really is a very well made Côtes du Rhône. The thing about the Rhône Valley is the consistency of their wines – hey blend their grapes very well.. It’s a very pleasant wine; again, not to heavy. I don’t think you want a heavy red wine with your turkey on Christmas. If your offering glasses of red wine at your parties this is a jolly good one to have. And finally, another festive favorite, if you want an excuse to drink this Royal Tokaji from Hungary, Christmas is just the time to do it. A little bottle – 37.5 cl – it’s very, very sweet but is just brilliant with chocolate. I really do recommend it; £12.49 from Waitrose, it really is one of the best dessert wines. They’ve been making this wine sine the 1600’s and I think they’ve perfected it. It’s wonderful. So here are a few wines for you to spend Christmas with, stock up, drink wisely and have fun.